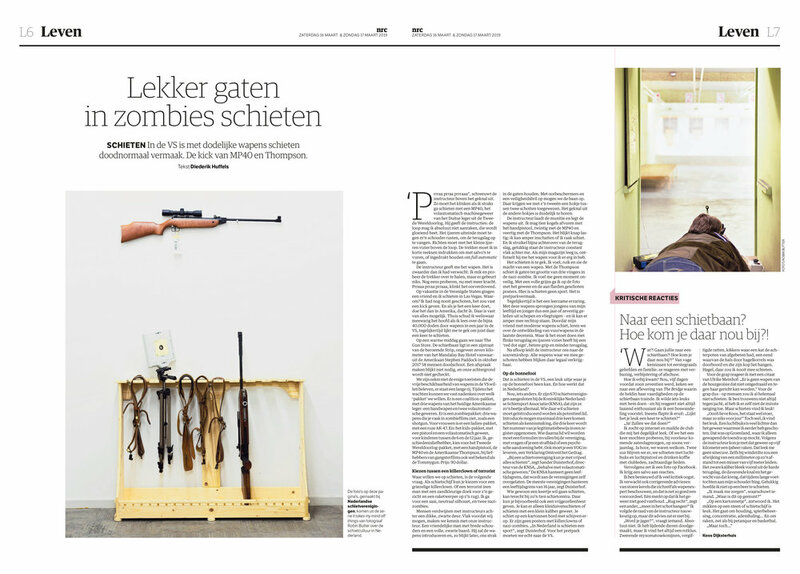 Two photographs from the series ‘It takes my mind off things’, 2015 made it to page 6/7 in NRC weekend edition ‘Leven’. About the difference between the gun culture in the US and here in the Netherlands. Text by Diederik Huffels, adventure in Las Vegas shooting with a Tommy gun at nazi zombie’s and Koos Dijksterhuis critical response.